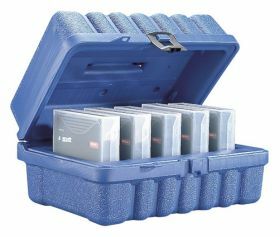 Imation Turtle cases are designed to protect magnetic tape cartridges during storage and transportation from damages resulting from electrostatic discharge, humidity, UV-radiation, airborne debris, shock and mechanical impacts. -Absorbs impact, reducing shock to the tapes. -Provides insulation against extreme temperatures. -No rust, no sharp edges. -Reduce media damage from shaking and rattling. -Prevents damage to the tapes. -Easy to carry, easy to stack. 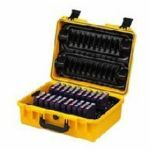 -Safe & lockable for added security.